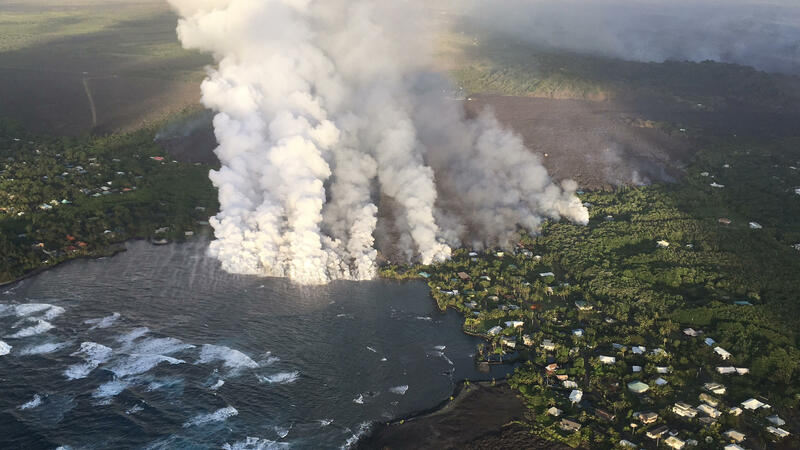 Lava from Fissure 8 enters Kapoho Bay early morning on June 4, 2018. 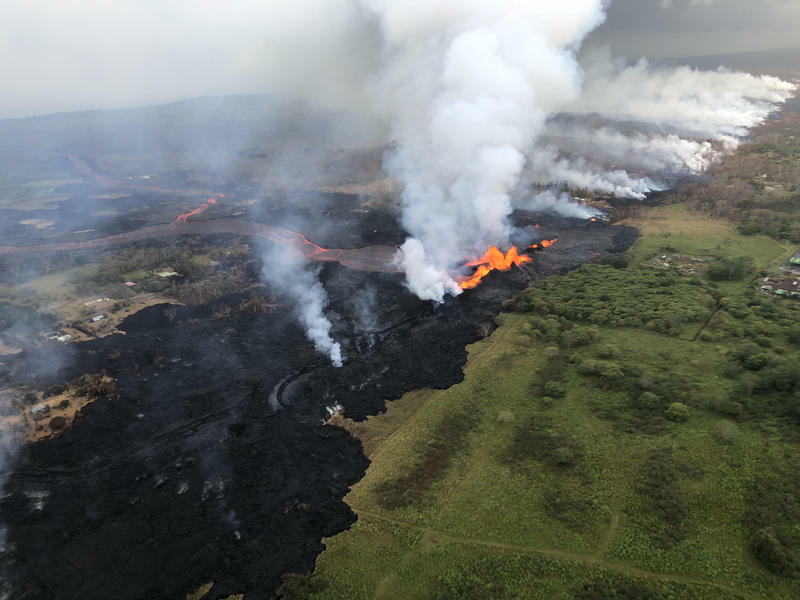 The lava entry to the water is estimated around 10:30 the night of June 3rd. Map as of 11am, June 3, 2018. A glimpse of what it's like living through the current eruption, and a volcanologist confirms, while we don't know how long this action will continue, we're not expecting any violent convulsive explosions like Mount Pinatubo or Mount St. Helens. 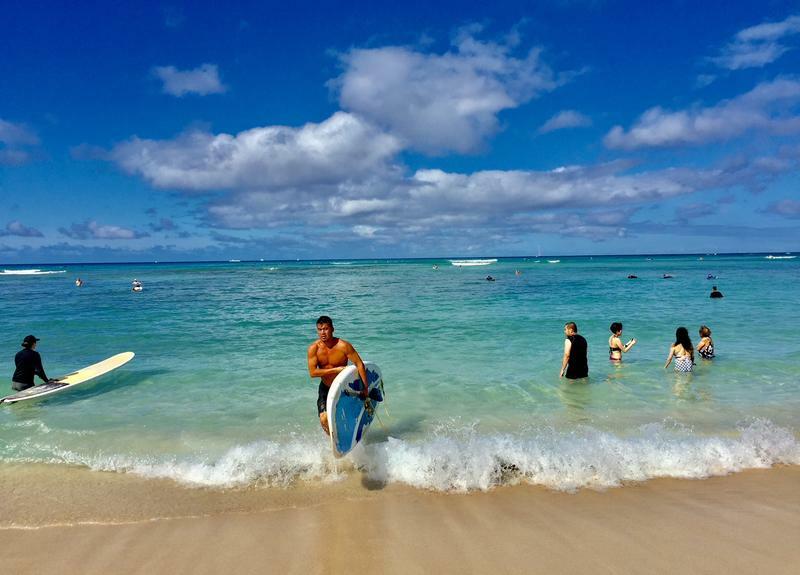 Hawai’i County Councilmember Eileen O’Hara represents Leilani Estates, Kapoho, parts makai of Pahoa town, she says people are timing their lives by road blocks and curfews, clinging to their all important permission placards. O’Hara: I had three people call me before 7 o'clock in the morning to tell me that they would not be going to work because they were afraid they wouldn’t be able to get back in. A couple people called me who are elderly and have recently had surgery. 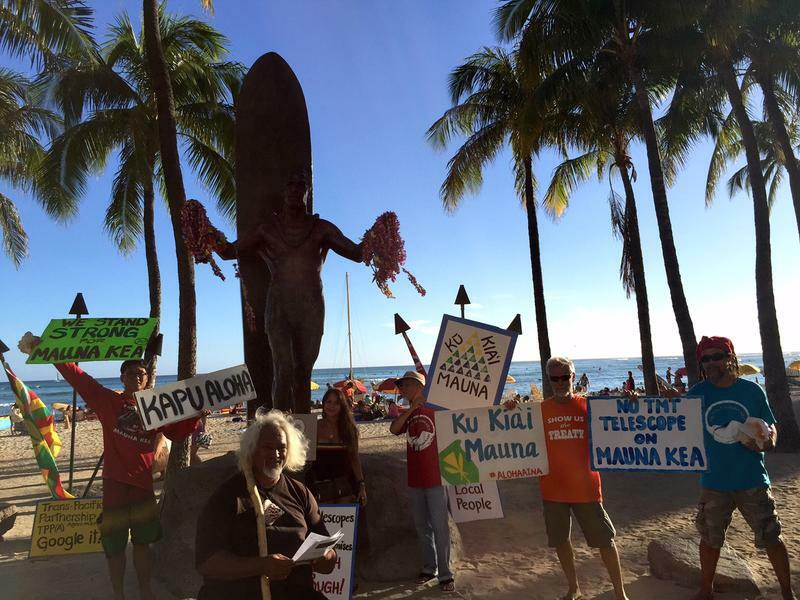 Hawai’i County Councilmember Jen Ruggles represents District 5, Kaimu, Opihikau, Kalapana, and up Hawaiian Acres to Kea’au Ag lots. She says these days life is more complicated for normally self-reliant folk. Take catchment water. Ruggles: When the ashfall is heavy, we disconnect the gutters, we cover the catchment up, wash the cover, and conserve water. Every day you have to clean the ash off and clear the ash out of the gutters. Then when the air quality clears up, we reconnect the gutters and fill up again. Worried about your solar panels? The latest word is, just water spray them off. Don’t risk climbing onto the roof. Councilmember O’Hara says reactions to devastation have ranged widely among her constituents. O’Hara: I just ran into a couple, they’re originally from India. They were moving into their house in Leilani Estates, on May 3rd, when the Army National Guard came down the street and advised them to evacuate. They had no insurance, their house is nothing but ten feet of lava now. And they were the happiest people I’ve met throughout this whole event. They said, We love nature. We’re totally into nature. We understand this. 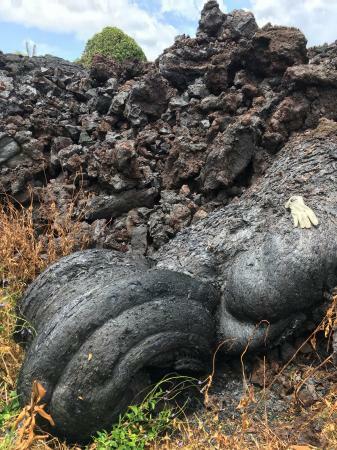 UH Manoa Geologist, Volcanologist Scott Rowland says the current Kilauea eruption resembles the 1924 eruption up at the summit crater. 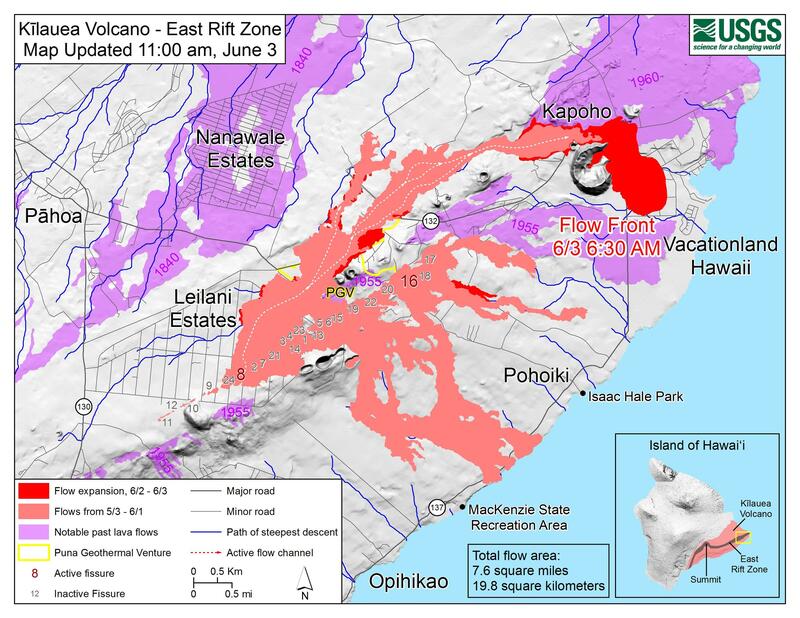 On the East Rift Zone, where the lava is flowing, it is more like Kilauea’s 1955 eruption. Rowland: Go walk around your neighborhood and imagine there’s a lava flow coming down the street, and it’s burning houses. That’s really hard to think about. Rowland observes the current output of magma is staggering but we’re not expecting an eruption like the Guatemalan Fuego volcano that erupted violently and fatally earlier this week. Mount Pinatubo and Mount St. Helens are not models for Kīlauea either. Rowland: Absolutely correct, we’re not expecting either of those things. Our volcanoes don’t behave that way. So we shouldn’t be waiting for “The Big One,” we’re in it. Rowland says trying though it is, these lava flows happen because of the relative fluidity and other qualities of the lava. Pressure and gasses are allowed to escape without the tremendous build up that propels some volcanoes. Rowland bought land recently in Royal Gardens, and says he would not fault any of the people who bought homes in this Zone 1 Hazard area. They had over 50 years of relative calm and safety. We are heading into hurricane season, after unprecedented rain on Kaua’i to the north and with Kīlauea pumping to the south. Dr. Rowland says he and his colleagues have been discussing the idea of risk and where one could go to be most safe. You could head to the continent, but they have heat, cold, fires, and hurricanes. Rowland: If you live in most of the coastal areas of all the islands, you are in Zone 1 Hazard for tsunami. Let’s not think about relocating people from multi-million dollar homes and condos. Meanwhile, Hawai’i County’s eruption bill. 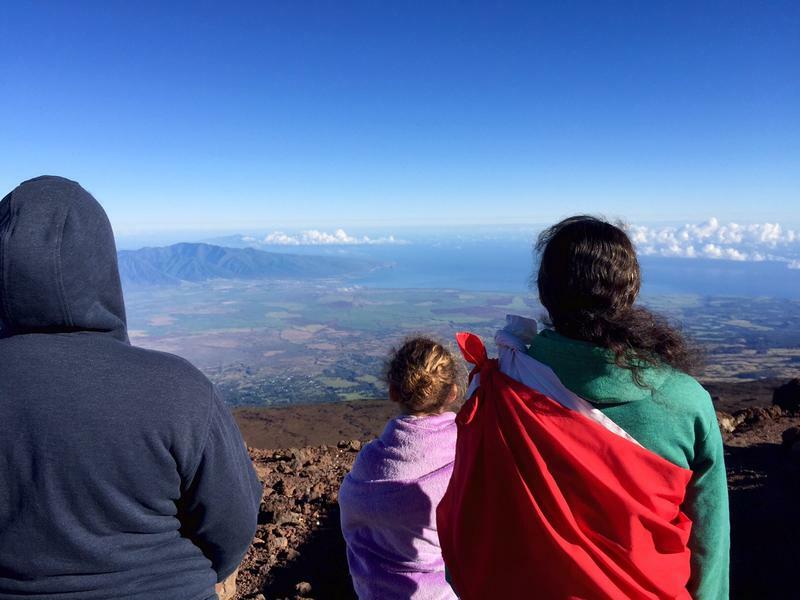 Hawai’I County Councilmember Maile David represents Volcano Village down Ka’u, South Point up through Captain Cook. She says conditions depend on the wind and ash fall, with Pahala first in line for flying debris. David: It settles on their cars, on the road. When the wind picks up, it just flies that ash all over the place again. It’s very difficult to breathe. They’re being advised to shelter indoors, but you understand a little town like Pahala, some of the homes are there from the plantation days so sheltering indoors might be the same as being outdoors for some. So they did mask distributions. In different little districts, the impacts are different. David says the vog is thick in Kona. David: You come to the Kona side where the vog is so thick. We can smell the sulfur at the Civic Center. We’re like almost a hundred miles away! Every day it’s something new. The biggest concern right now is where will we be able to house all these people that now have nowhere to go. The really big difference in this situation is, we don’t even know when it is going to stop. Pahoa town, May 2018. If anyone knows who took this photo found on Facebook, please contact me, i would like to credit you. Near the epicenter, Pahoa town is holding on. Ruggles: Yes! It’s amazing. In fact just last night I went and ate at Kaleo’s. We ate outside and as the sun set the whole sky was lighting up bright red and we watched the moonrise through the glow of the lava. It was incredible. They’re open for business and they need support now more than ever. Any sign of a silver lining yet? Ruggles: In fact, we’ve noticed, people have been kinder to each other. It’s the talk of the town lately.